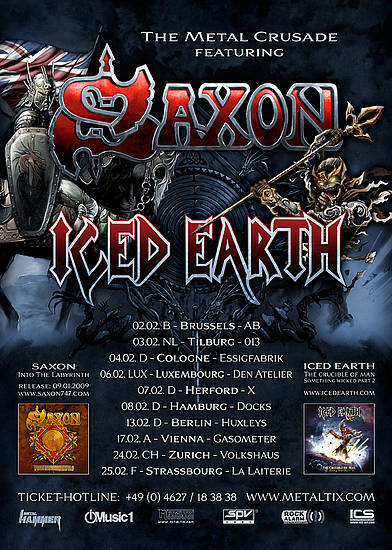 On the left you can see the Metal Crusade Tour poster, with Saxon and Iced Earth. The Paris show doesn't appear. Maybe it was added later, but it was actually the first date of the tour. 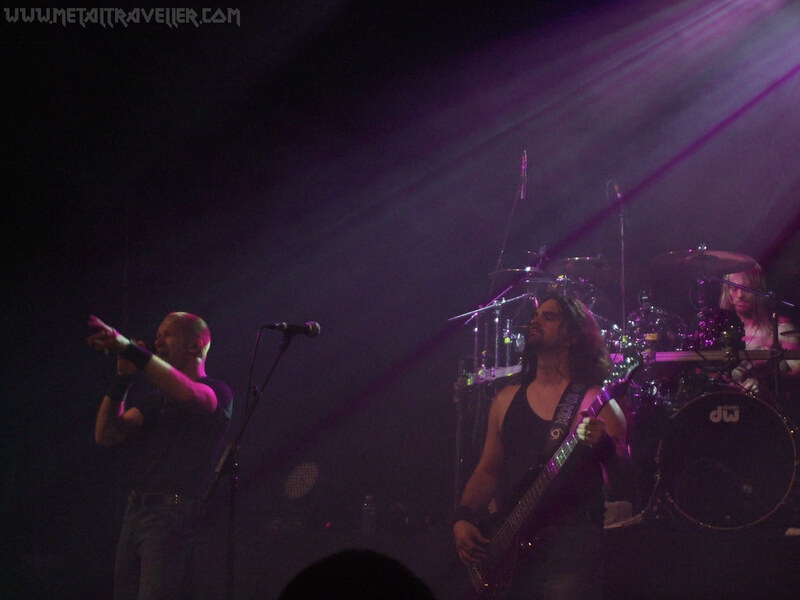 It was a co-headlining tour and there were no opening acts. I had been waiting for this concert since it was announced. I love both bands and they're great live acts. I got into the venue just for the begining of Iced Earth. 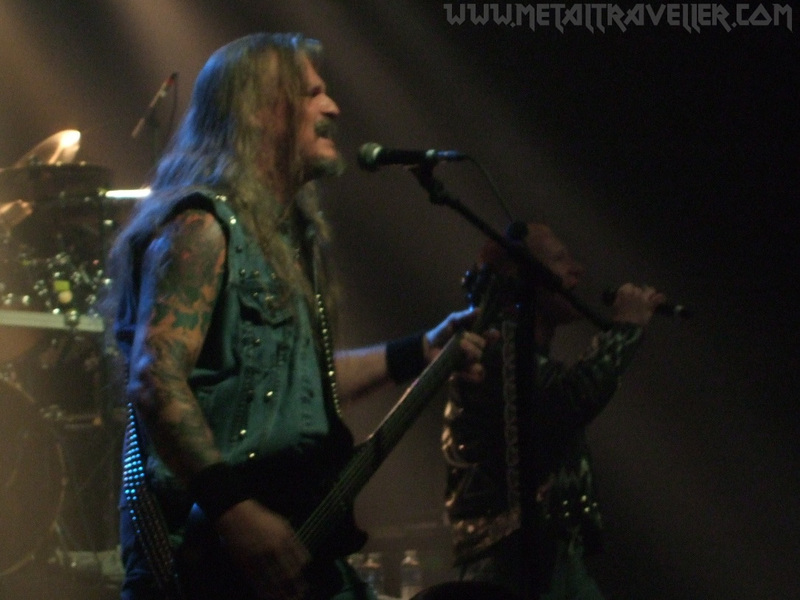 Iced Earth played a great setlist full of classic songs and very few recent ones. To me it was OK. To be honest I can't really get into their latest album, The Crucible Of Man. Jon Schaffer is impressive on stage. 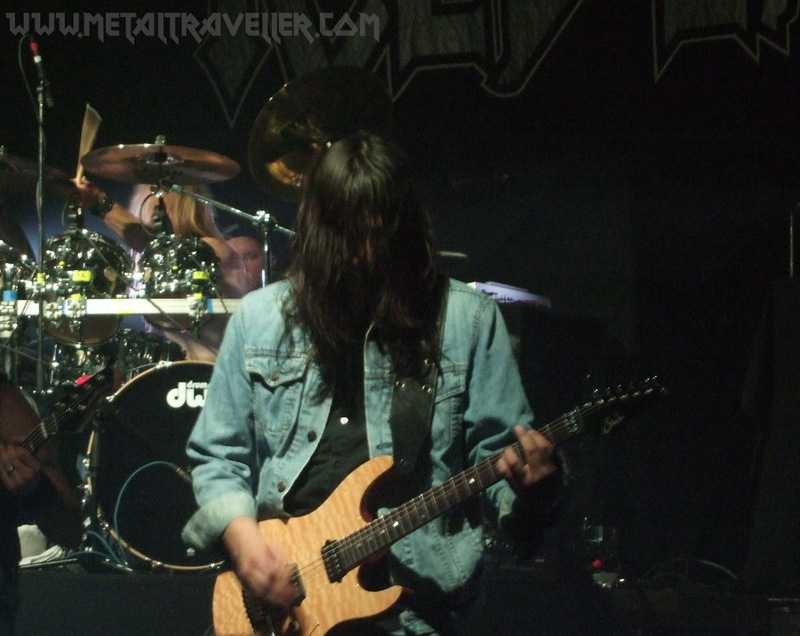 He's got one of the fastests right hands in metal and his riffs are killer. 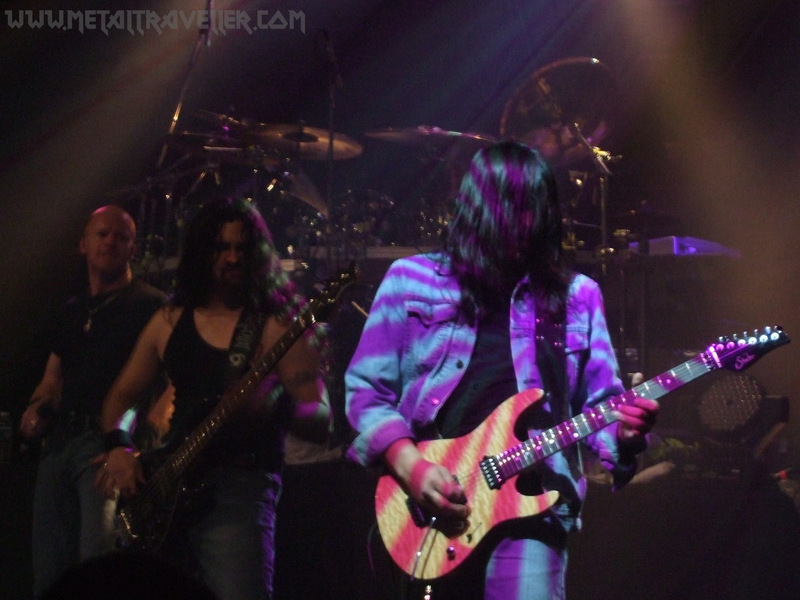 His whole live band is composed of great musicians. I'll just point that they almost didn't move on stage. Except for Matt, they remained static for most of the show. 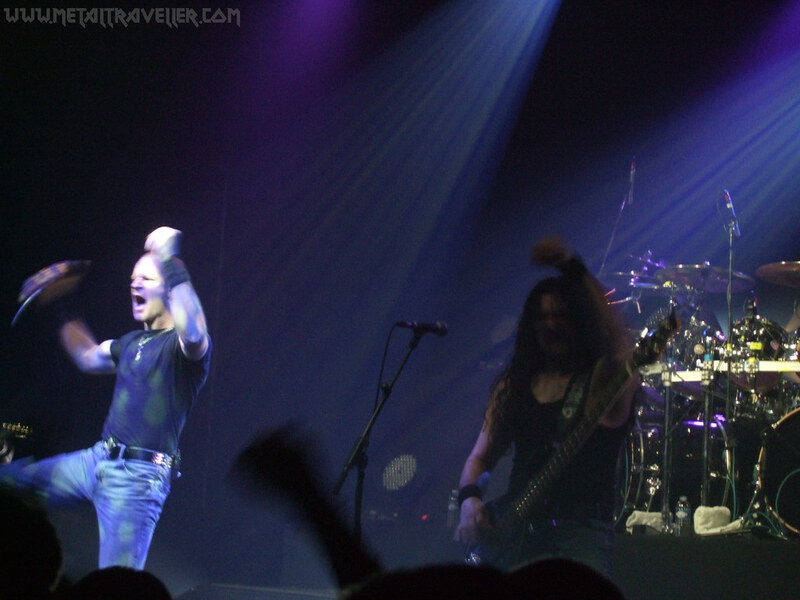 I never saw Iced Earth with Tim Ripper Owens, but I love Matt Barlow's voice and I was happy to see him on stage. There's only one thing wrong about Matt. His haircut? It could be but no, I don't mind the fact that he cut his (very) long hair. It's the song Ten Thousand Strong. Ripper does it a lot better. 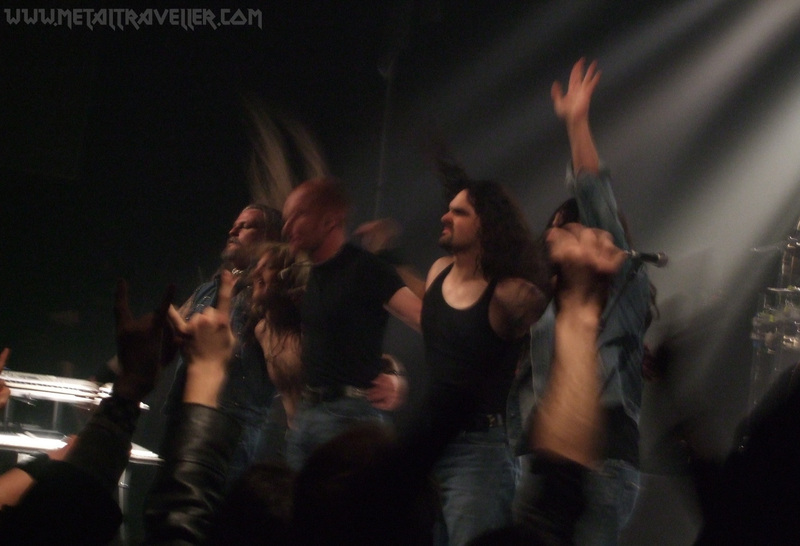 Matt does a great version of Declarion Day, but when it comes to Ten Thousand Strong I become nostalgic about Tim Owens Days in Iced Earth. But not everything was so good as it seemed. The sound was awful. I was on the left side, so I moved to the right side to see if they had a better sound there. No dice. And in the middle of the pit it was the same. It's hard to get in the mood when a band has such a bad sound. Anyway, that didn't prevent the crowd to headbang during the whole show, and to sing Watching Over Me as loud as we could. The lightshow was also quite dark during the whole show. 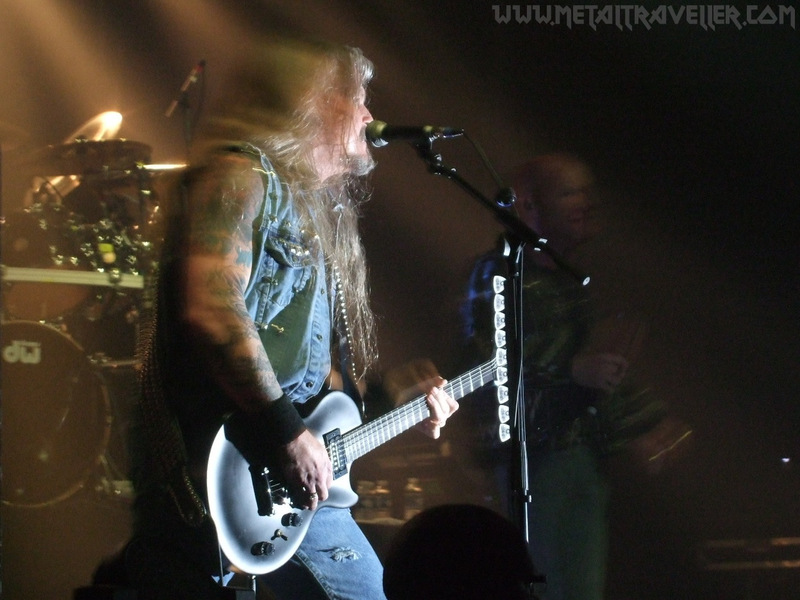 Iced Earth played for an hour and 15 minutes. I thought it was short for a co-headlining tour. It seemed more like a good opening band. I hope to see them soon for a full show and with better sound and lights. It was a nice show but not exceptional. Time to get a beer and wait for Saxon.